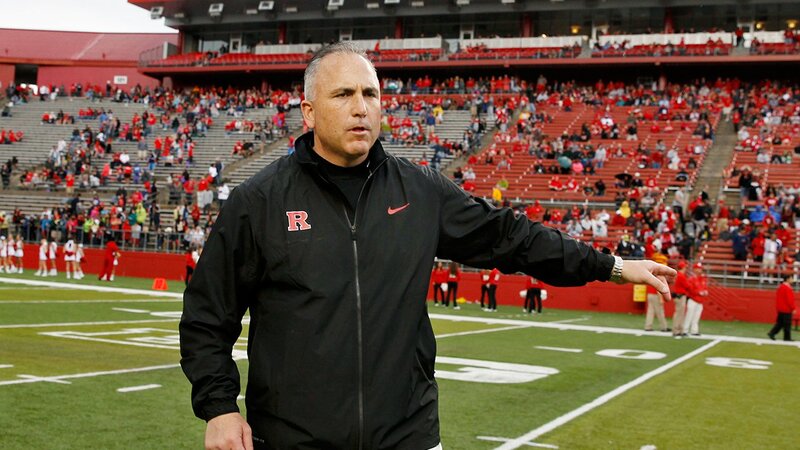 NEW BRUNSWICK, New Jersey (WABC) -- Judgement day has come for Rutgers University's Football program. Friday the program was handed a two-year probation sentence, along with other sanctions. This after the NCAA Committee on Infractions felt the university and former coach Kyle Flood had a "casual approach" to the NCAA rules that everyone else had to follow. Some of the other infractions during Flood's tenure were positive drug testing (unreported), recruiting violations by a "host" group that didn't follow NCAA rules, contacting instructors to influence the changing of grades so a player may become academically eligible, and recruiting violations by an assistant coach leading members of the program to lie to the NCAA investigators. The timetable for probation will commence immediately and run through September 21, 2019. This in addition to the NCAA issuing a $5,000 fine to the university, and a one year "show cause order" to former coach Kyle Flood, and former assistant coach Darrell Wilson. Essentially the latter means that if any school should want to hire either one, it would have to show cause why they should not have restrictions on any athletic related position. The penalties somewhat reflect the self imposed sanctions that Rutgers issued upon itself in December, acting in compliance with the NCAA's investigation. "The obligation of all member institutions in the NCAA is to participate fully in these kinds of investigations. Certainly Rutgers met that obligation." Garry Miller, NCAA's lead in the case. Both Flood and former AD Julie Hermann were swiftly shown the door following the 2015 football campaign. Because of Rutgers actions they avoided the most significant penalties such as bowl bans, vacating wins, and scholarship reductions. From here, Rutgers will move forward and continue to rebuild the football program by putting this all behind them. In an email to the student body AD Pat Hobbs said; "We have been working hard the past two years to change the narrative around our programs. Concluding this investigation will allow us to continue the progress we have made, both on and off the fields of play." The Scarlet Knights take on Nebraska Saturday, and are currently 11.5 point underdogs.